Food, drinks, and fireworks in July may sound like an American holiday, but just 10 days after America’s Independence Day, on July 14, the French also have their own red, white and blue holiday -- Bastille Day. The annual celebration, known to the French as “La Fête Nationale” is a nationwide holiday that commemorates the anniversary of the liberation of France marked by the storming of Bastille. The Anglicized term of “Bastille Day” comes from the name of a medieval prison called Bastille, where political prisoners were held for arbitrary reasons and had no chance of appeal at the hands of Louis XVI’s royal government, according to France’s government website. Because of this, Bastille became a symbol of the oppressive monarchy and was the reason why it was targeted by the people of Paris when they stormed the fortress on July 14, 1789. Though there were only seven prisoners held in Bastille that day, the revolt was hugely symbolic of liberation of the French public, which continues to be a central part of France’s core ideals which are represented by its three-color flag: Liberty, Equality and Fraternity for all. Today celebrations are a representation little more lighthearted but still carry a great deal of tradition. Thousands in Paris gather along the streets of Paris to watch the pageantry that is the Bastille Day Military Parade, which is considered to be the oldest and largest military parade in Europe, according to the Convention and Visitors Bureau of Paris. The French military make their way along Champs-Elysees from the Arc de Triomphe to the Place de la Concorde. Other popular activities including Fireman’s Ball, which are a series of parties hosted by France’s fire stations who open their doors for the day turning the city into a giant outdoor fair. A national holiday wouldn’t be complete without a spread of traditional French food. Celebrating the holiday means eating outdoors and enjoying casual meals with friends and family during the day which can include picnic foods like quiche, fruits, vegetable and some champagne, to more traditionally French spreads of rillettes or pot au feu. A long day of festivities is marked with a dramatic display of fireworks launched from the Eiffel Tower. 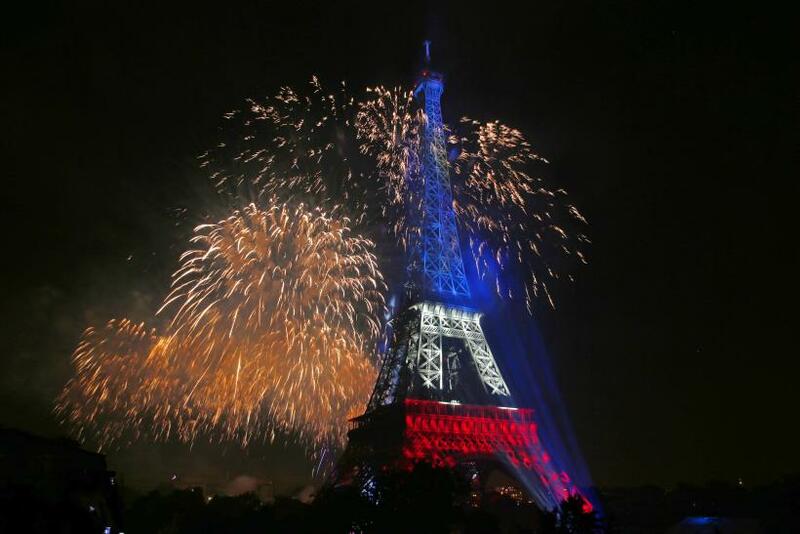 The celebration of Bastille Day has spread beyond French borders and been adopted by Francophile living in the England, Canada and the United States. With the title of “America’s most French city,” New Orleans often has a big Bastille Day celebration, featuring film festivals, live music and food.